Summit County Children Services (SCCS) has remained committed to the safety, permanency and well-being of all children served since first opening its doors in 1885. As the only Summit County agency mandated by Ohio law to assess concerns of child abuse and neglect, the agency is bound by five major child protection mandates including investigation, reunification, child safety, permanency and child well-being. 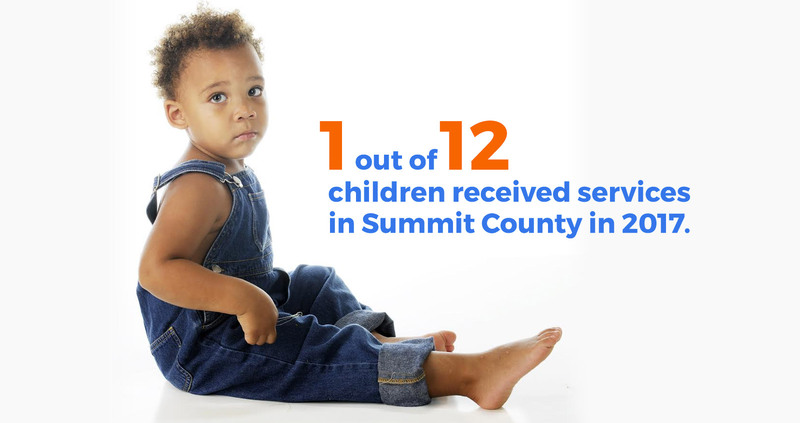 Today, the agency serves 1 in 12 children in Summit County. Since 2012, there has been a 36% increase in the number of children in custody, due in large part to the opioid epidemic. Through sound fiscal management, SCCS has continued to operate efficiently while serving many more children and families. However, in order to maintain quality service delivery, SCCS needs your vote for Issue 8 on November 6th. When you support the safety and well-being of children by voting YES, you also support quality service delivery through the following programs and services. 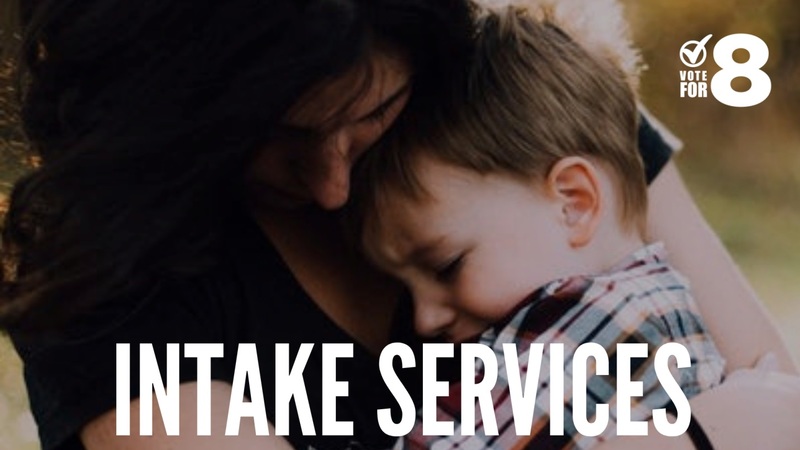 As typically the first point of contact at the agency, Intake Services features a 24-hour Child Abuse and Neglect hotline, and caseworkers respond to reports of abuse, neglect and dependency while identifying the family’s service needs and prioritizing child safety. The agency receives nearly 11,000 calls concerning child well-being each year, and Intake workers are among first responders to assess these concerns. 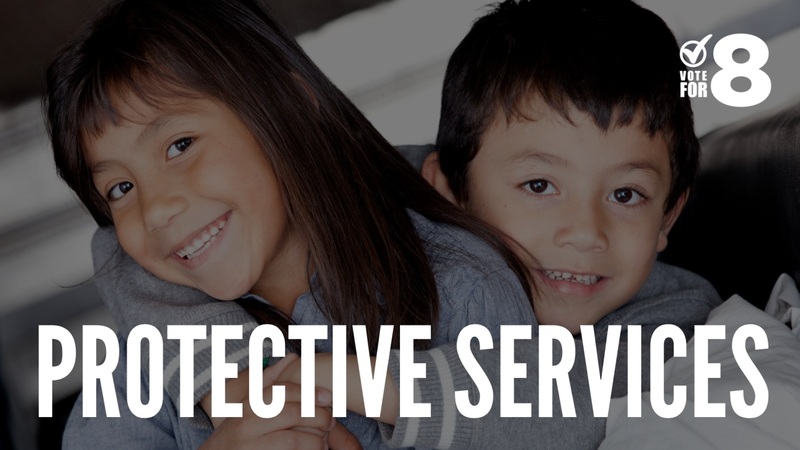 Ongoing Protective Services provide children and families with support to safely maintain children in their own homes. 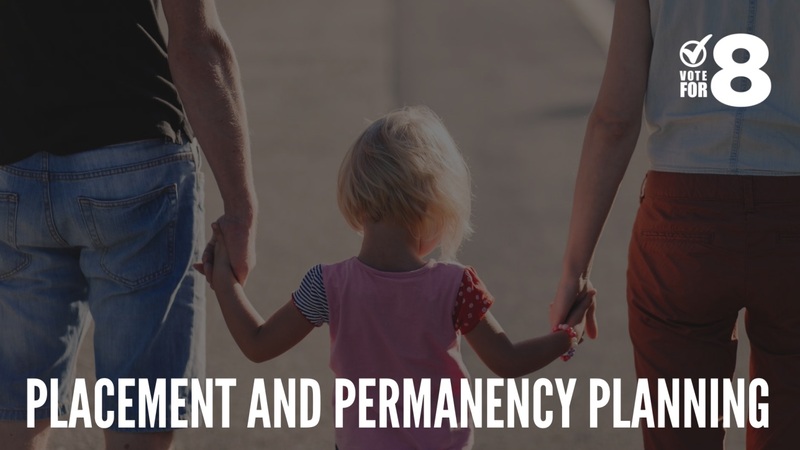 If a removal has occurred, the Protective Department works in partnership with families towards reunification through parent education and family visitation. Family Interaction Center (FIC): Visitation services help to maintain family connectedness when a child is in agency custody. The FIC provides a safe environment for supervised visits to occur, and workers emphasize parent education and engagement to increase the likelihood of reunification. The Family Meeting Unit: Trained facilitators conduct Team Decision Making (TDM) meetings and collaborate with loved ones in forming a safety and permanency plan for children needing agency services. Substance Intervention Workers: Children are the silent victims of the opioid epidemic and in 2017, heroin and other opiates were the number one drug concern reported to SCCS. Substance Intervention workers assist clients in recovery and sobriety programs including the Family Reunification through Recovery Court (FRRC) program. Kinship Services: SCCS values family preservation and works to keep children safe in their own homes whenever possible. When it is unsafe for a child to remain at home, SCCS prioritizes kinship placements. Currently, over 40% of children in agency care are placed with kin. 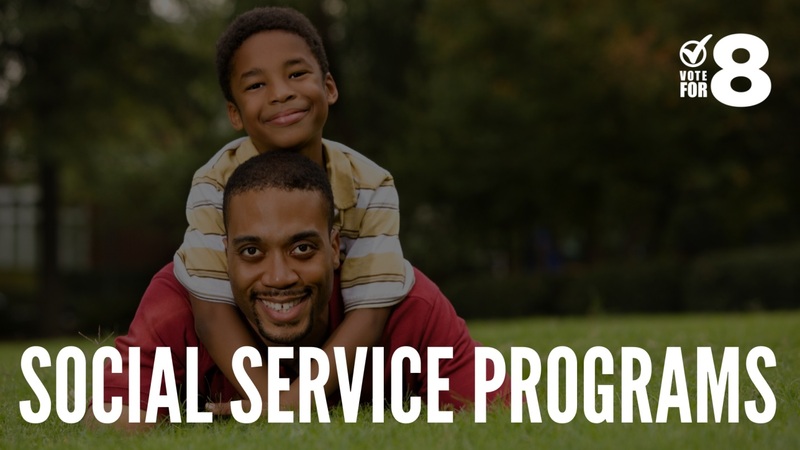 In addition to locating and engaging relatives, Kinship Services also provide on-going support to relatives caring for children through Kinship Navigator Services. Foster Care: Due to rising custody numbers, the need for foster parents has grown immensely. These families open their hearts and home to children in need of a safe and stable environment while their parents work toward reunification. Independent Living: This program allows teens to gain critical life skills in the areas of budgeting, meal planning, securing a residence, and locating a job. It helps to combat the long-term consequences of child abuse by decreasing the odds of children engaging in substance abuse, committing a crime or continuing the cycle of abuse in the future. Transitional Housing: This SCCS program provides temporary housing and support to young adults age 18-25 who were previously in agency foster care and were struggling with homelessness following emancipation. Caseworkers provide these young adults with an individualized plan to achieve self-sufficiency and permanent housing. Whether you’re voting early or heading to the polls on November 6th, keep these essential services in mind and remember your vote for Issue 8 has an immense impact on the safety and well-being of local children and families.